Many people ask: “Where can I get Rosary beads?”, “Where Can I Find Rosary Beads?” or “Where to find Rosary Beads?” The answer is, right here at HolyLand-Gifts.com. 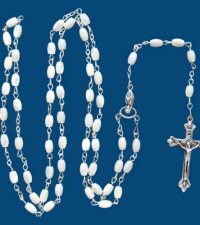 Rosaries make excellent First Communion gifts, as well as many other occasions. We find they make great stocking stuffers, and we enjoy placing them in Easter baskets as a reminder that we are actually celebrating an important faith-based event. Perfect for any member of the family, and a great gift for another member of your faith community, these beautiful beads help support prayer and meditation practices. If you’re new to the Rosary, be sure to head over to our blog, where you’ll find some information that can help you to learn more about traditional ways to use Rosary beads as you pray or meditate. 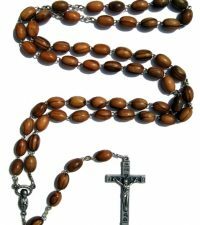 Whether you’re looking for a Rosary Beads Necklaces made from mother of pearl or lovely Holy Land gift rosary beads for men made from olive wood, you’ll find exactly what you want here at HolyLand-Gifts.com. Remember, you are supporting the skilled Christian artisans who make all of the gifts by hand and we send a portion of profits to Bethlehem Christian charities, as well. So whether this is a gift for yourself, or for someone special, you’re actually giving twice.